Housing was one of the biggest needs facing Nunavut when it was created in 1999. It’s still the biggest problem today as the territory celebrates its 20th birthday Monday. 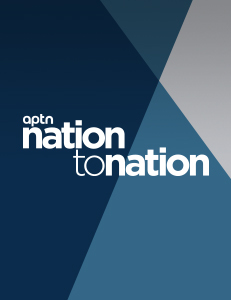 “We just don’t have enough housing,” said Premier Joe Savikataaq on Nation to Nation Thursday. It’s not a secret in Ottawa that Nunavut needs housing, or that it costs more to build there. But Savikataaq hasn’t seen that awareness translate into dollars in the North. The Trudeau government earmarked $240 million, over 11 years, in the 2018 budget for housing in Nunavut. Savikataag said it’s not even close to what’s needed. The funding for the 2019-2020 fiscal year will build 83 houses. He said Nunavut is dependent on the federal government to operate the territory and need a large infusion of cash to stop the crisis. “Whatever funding we get we do the best we can to make as many houses as possible,” said Savikataag. 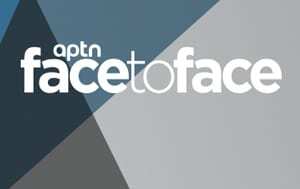 Nation to Nation host Todd Lamirande spoke with the premier on a wide-range of topics, which were fact checked but APTN’s Iqaluit bureau chief Kent Driscoll. Driscoll said the premier’s statistics were accurate on housing but there’s more to it than that. 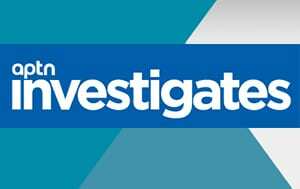 “His numbers are right but the thing he is forgetting is a lot of the problems come from local housing authorities. Each individual town has their own housing authority that’s responsible for social housing. They have a list of eligibility that is not transparent at all. It’s hard for people to see where they are on the list and what qualifies people,” said Driscoll. He also said the last time Nunavut got a lot of money for housing it was a “complete catastrophe” shipping supplies. Some of the materials ended up lost and stolen or strewn over the beach. “While the Government of Nunavut definitely needs more money for housing there’s potential for them to do better with what they have,” said Driscoll. Savikataag was asked what he sees as the biggest positive achieved over the last 20 years. “I think the fact the majority of MLAs (members of legislative assembly) and majority of government ministers have been predominantly Inuit ever since the creation of Nunavut,” said the premier. But Driscoll said that Inuit representation hasn’t transferred over to the public service. He said 85 per cent of Nunavut is Inuit and the hope was 20 years ago the public service would reflect that, as well. 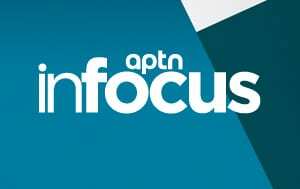 “For years now it’s been stalled at just under 50 per cent Inuit participation and most of that participation is at lower level entry or term positions,” he said. Watch the full episode, above, for further discussion on language, Arctic drilling and while graduation rates are rising the quality of education may not be. As well, we have the chief of Onion Lake Cree Nation to discuss the federal government’s Bill C-92 aimed at reforming Indigenous child welfare. It was tabled late February in the House of Commons and a group of chiefs took the time to read the bill before offering an opinion. Okimaw Henry Lewis said they flatly reject the bill as it is currently written. “To be blunt, I don’t trust the government because what they have done to us the last 150 years,” said Lewis. He said once it’s passed Indigenous people will lose all control.